Gaelic "Bruach àChladaich" - "the bank of the shore" or "Bruthaich àChladaich" - "the hillside of the shore" or as the website puts it "raised beach". Pronounced "brook laddie". 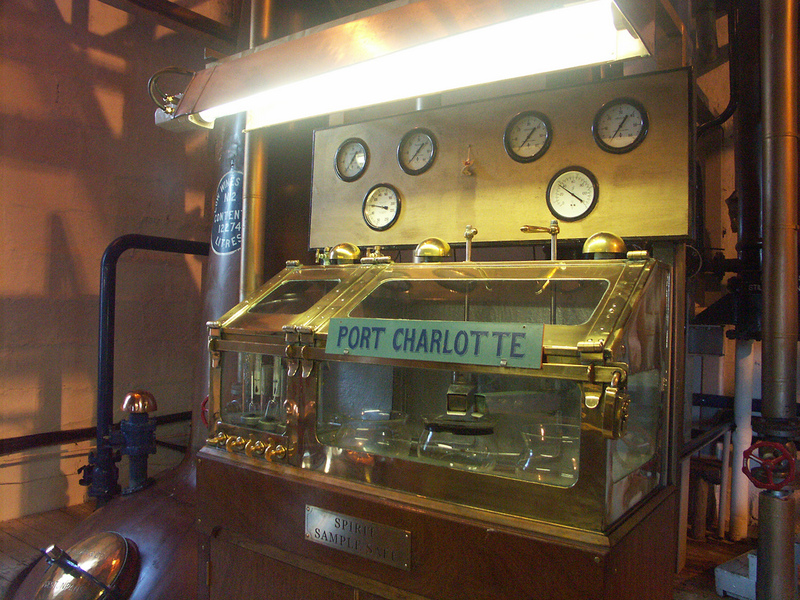 Extensive website emphasising the progressive spirit of the distillery. There's plenty on history too, plus of course the whisky section. Then there's the webcams, which brought the distillery to the attention of the US Defense Threat Reduction Agency in 2003. 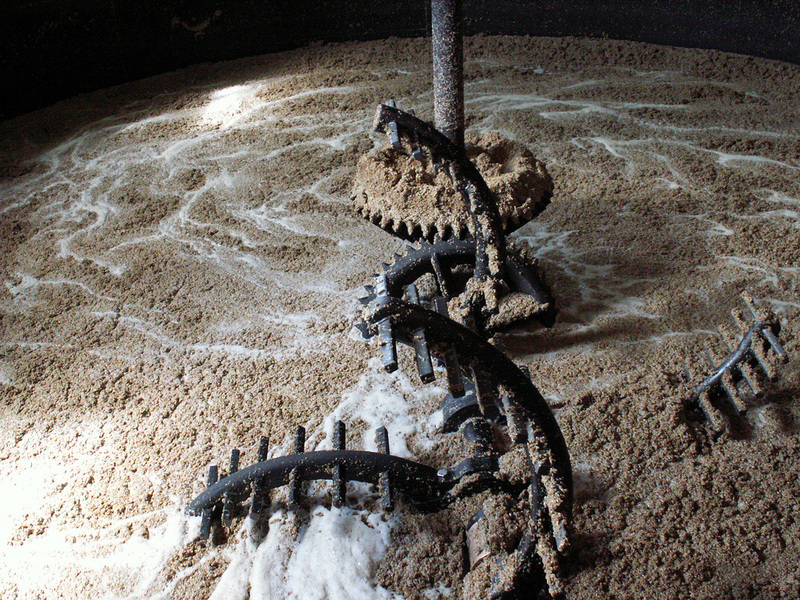 This subsequently lead to the production of Whisky of Mass Distinction (WMD). Yellow Submarine (WMD2) was produced later when an MOD yellow submarine washed up on the shores of Islay. 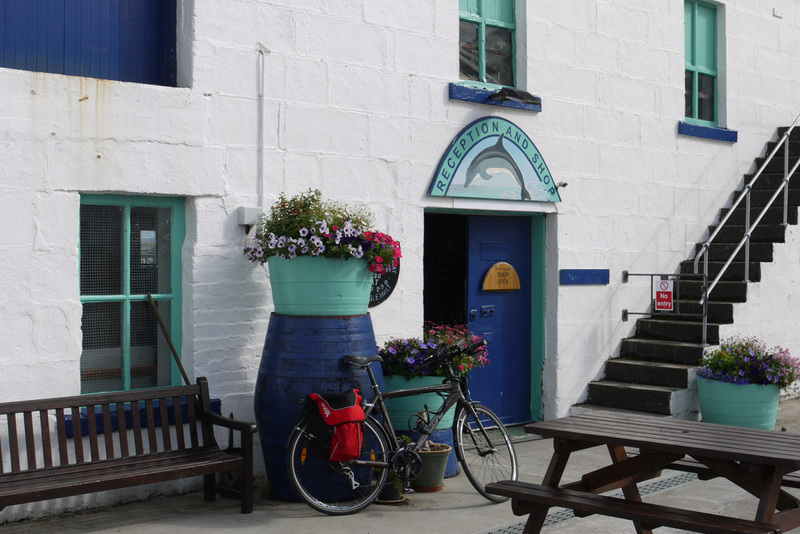 Bruichladdich has a Visitor Centre and is open for visitors Monday to Saturday throughout the year, plus Sundays April to October. Tours times vary due to the time of year (see website for details). Bruichladdich aim for 68% spirit, and fill casks at full strength, rather than diluting to 63.5% as most distilleries do. Bruichladdich are building further warehouses; a larger bottling hall; and are wanting to build a malting floor - they currently use Baird's Maltings in Inverness. The malt is peated in small batches in Saladin type boxes, which accounts for the variety of levels of Octomore - hence the surprisingly high 309ppm used for Octomore 8.3. Though Octomore uses a higher peating level than any other distillery, the phenol content in the spirit is moderated by the tall slim necks of the stills. A spring on the Octomore farm is used for reducing the whisky to 46% in the bottling hall - this is crystal clear water unlike the peaty brown water used for distillation. No computers are used in the production process. Bruichladdich own some of the old buildings of Loch Indaal Distillery in Port Charlotte and still have planning permission for rebuilding a Distillery there. 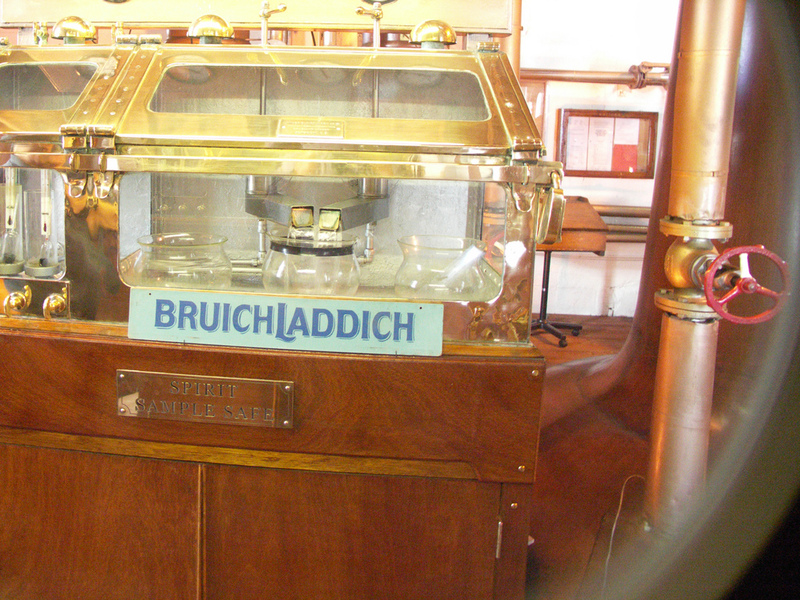 Bruichladdich was established by three brothers from Glasgow who already had two other (long gone) distilleries. 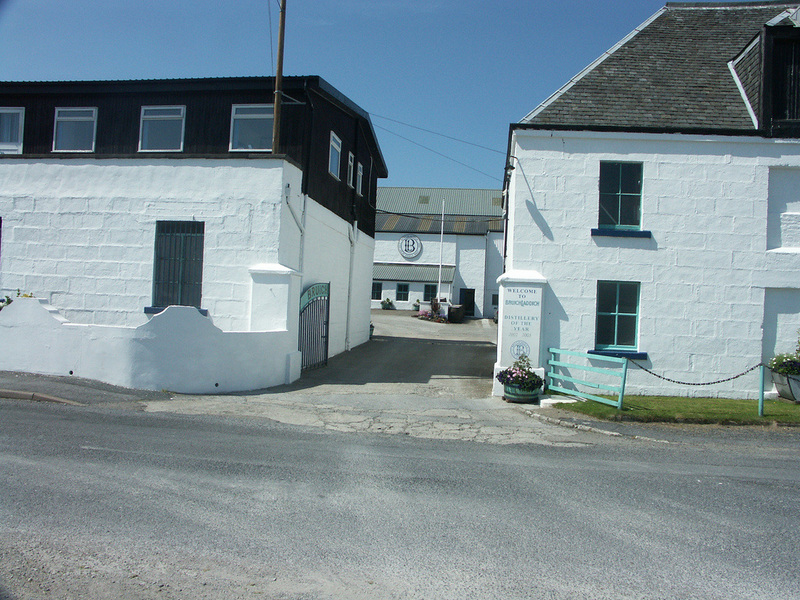 It was Islay's first purpose built distillery - the others had evolved out of farms, was built on a slight slope to aid the production process. 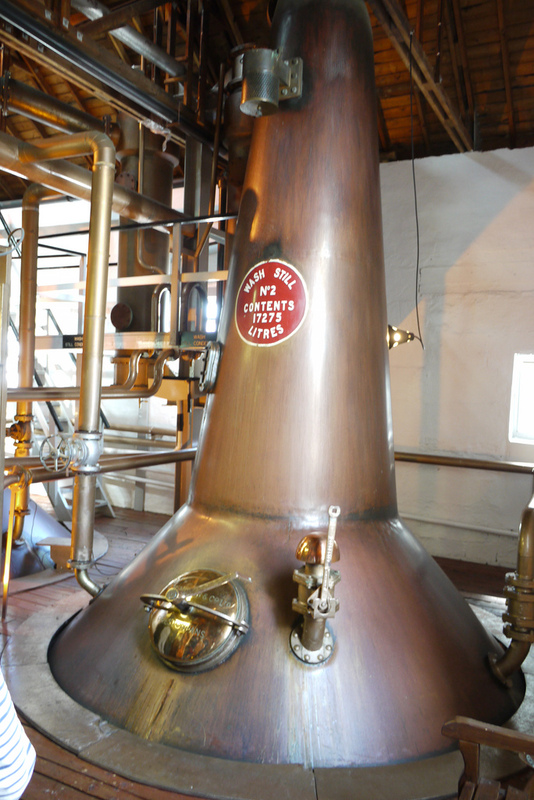 And it was built to last - a lot of the equipment used today is the original installed 132 years ago - including the Mash Tun, 2 of the Washbacks and one of the spirit stills. It remained in the family until the death of the last of the brothers in 1937, when it was sold to Train & McIntyre, who also owned Ben Nevis, Benromach, Glenesk, Glenkinchie, Glenury Royal & Lochside. In 1938 their operations transferrd to Associated Scottish Distillers. It went through a few other owners until being acquired by Invergordon Distillers in 1968, who in turn were bought by Whyte & Mackay in 1993. 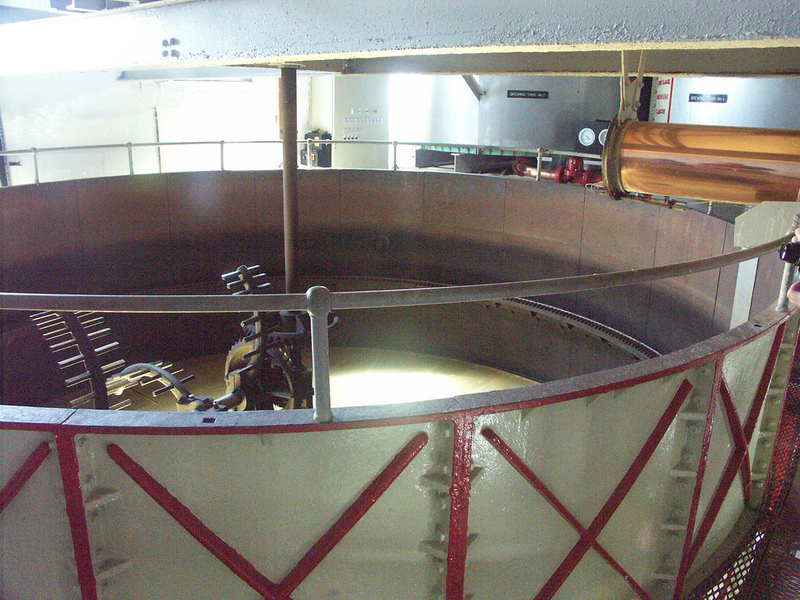 Invergordon had increased the number of stills to 4 in 1975. Bruichladdich was bought from Whyte & Mackay in 2000 for £6.5m, it remained independent for only 12 years before being purchased by Remy Cointreau for £58m. Whilst independent it was taken out of mothballs and became famous for many innovations, and a massive number of bottlings the production of peated varieties (Port Charlotte and Octomore), and a quadruple distilled malt (X4). 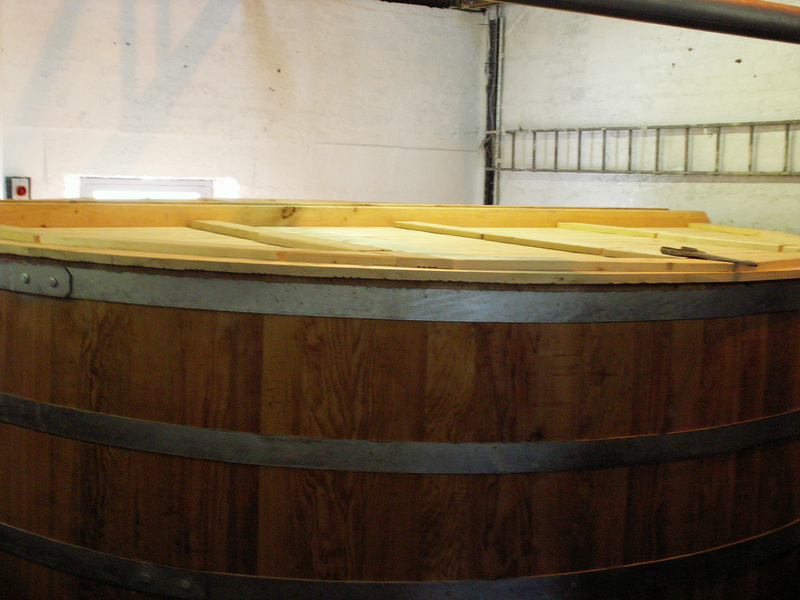 The distillery also distils gin (The Botanist) using the Lomond still previously installed at Inverleven distillery. 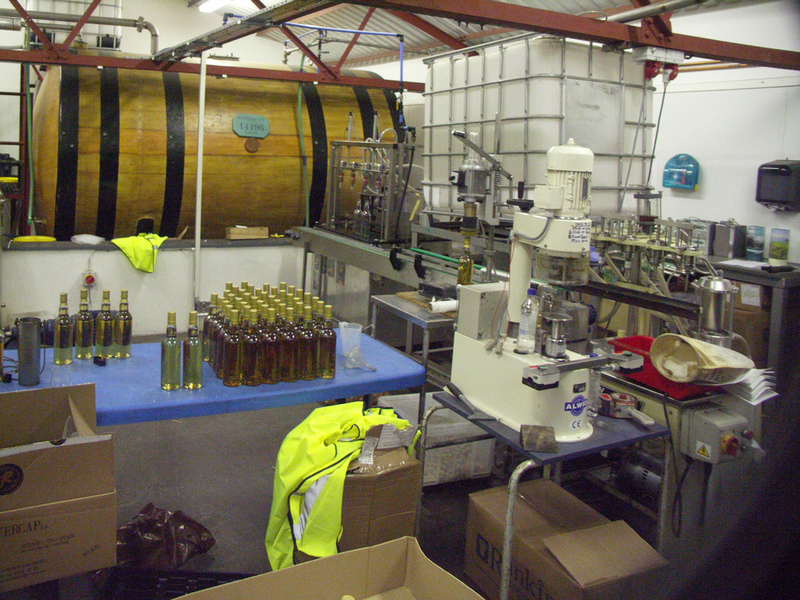 It is one of the very few distilleries with a bottling plant on site. 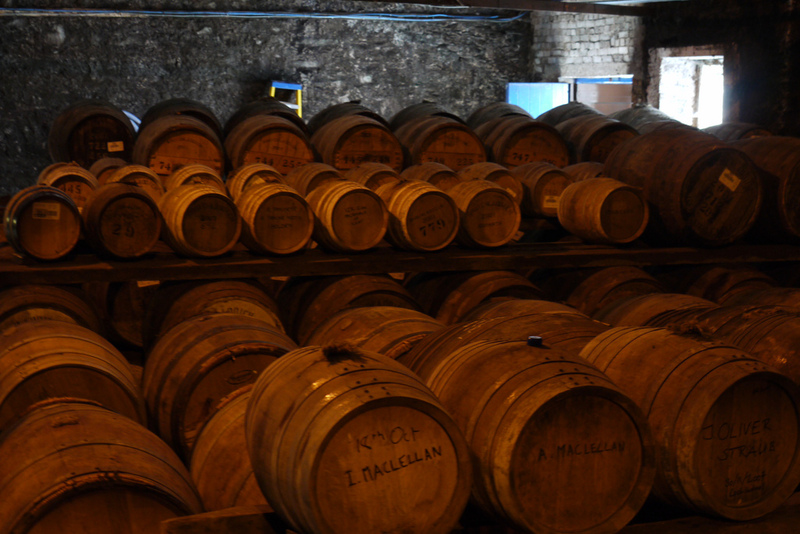 Bruichladdich was the most westerly distillery in Scotland until the opening of Kilchoman in 2005. After 5 years in Remy Martin's ownership the independent spirit of the distillery, and the ancient equipment and working methods remain, with Bruichladich looking to increase their 92 strong workforce further. Bruichladdich Distillery is on the Rhinns of Islay, two miles north of Port Charlotte on the A847 - opposite Bowmore across Loch Indaal. Bruichladdich's range used to be enormous, but they have cut back in the last few years. Bruichladdich itself comes in 8yo (travel retail), 10yo expressions, plus regular releases of The Black Arts; and Islay Barley. They have also released a Bere Barley edition and a Scottish Barley edition. The Classic Laddie, bottled at 50% is from 100% Scottish Barley. The Islay and Bere Barley releases give details of the farms on which the barley is grown - including Rockside until it was bought by Kilchoman. Port Charlotte and Octomore 10 year-olds have now been released. PC has also had Islay Barley and Scottish Barley variants. 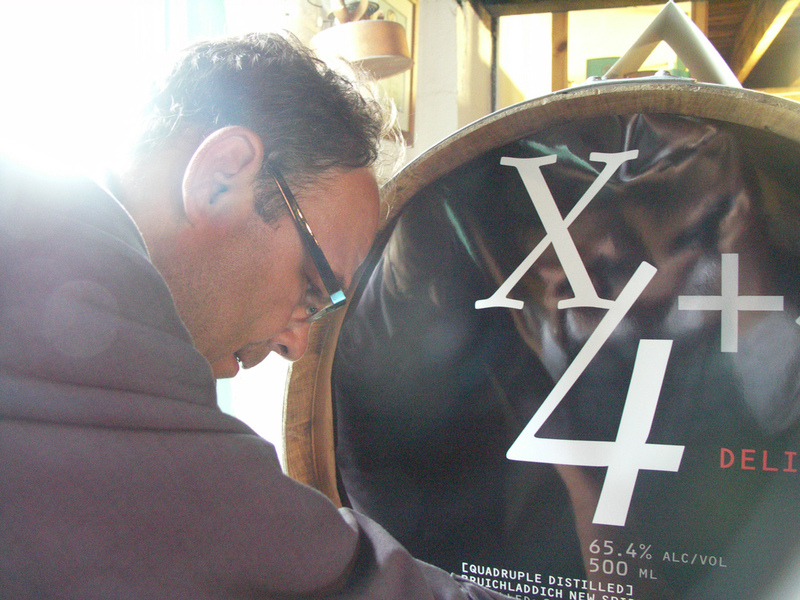 Octomore's other releases are given numbers - x.1 are Scottish Barley; x.2 are for travel retail; x.3 are Islay Barley; x.4 are experimental. Bruichladdich have introduced a transparency policy, so the make up of any bottle of (so far just) the Classic Laddie can be traced - a code is included on the bottle, which can be decoded on the website. (eg try entering 17 092 in the Laddie Recipe box - the Vintages and Types of the casks used, and the origin of the Barley are shown). 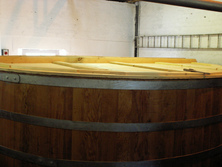 The website also has an article on the creation of the Classic Laddie. Bruichladdich bottles at 46% or higher and does not chill filter its whisky.100% of Bruichladdich's current production is for single malt whisky. Photos on this page were taken by me. Click on photo to enlarge. Full size versions of all my photos of Bruichladdich Distillery are available on Flickr.